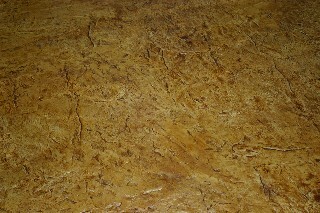 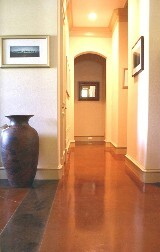 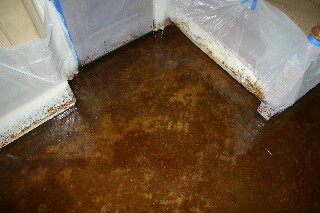 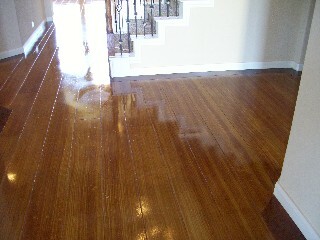 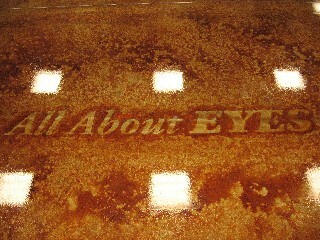 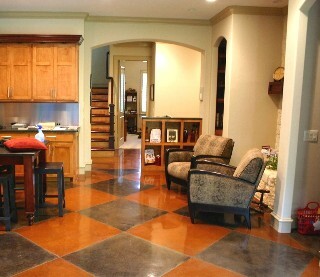 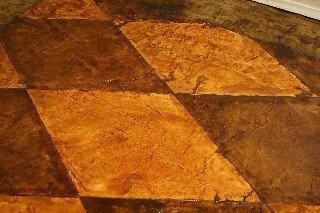 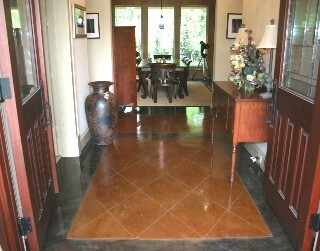 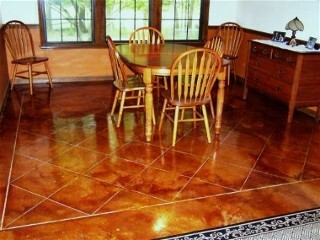 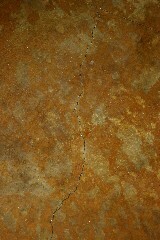 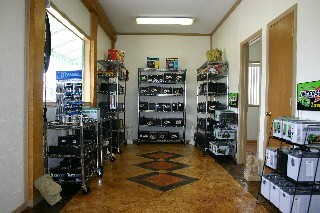 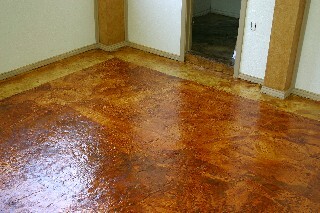 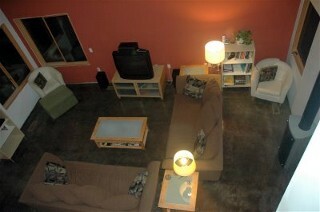 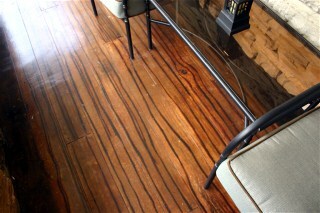 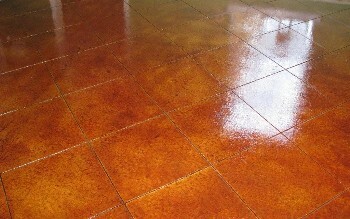 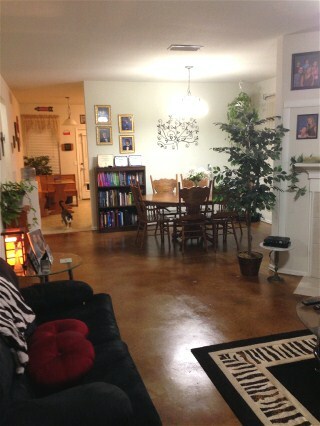 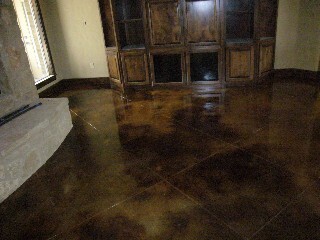 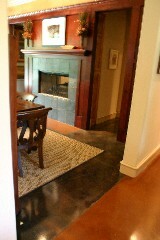 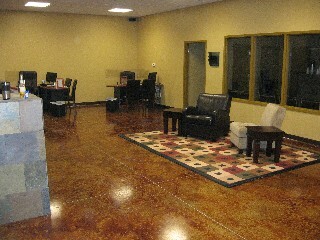 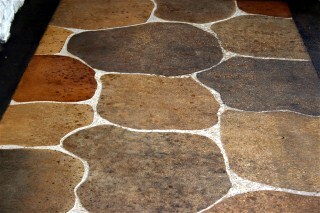 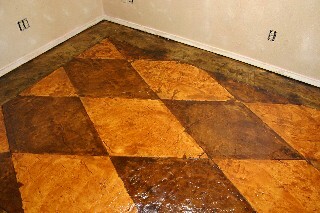 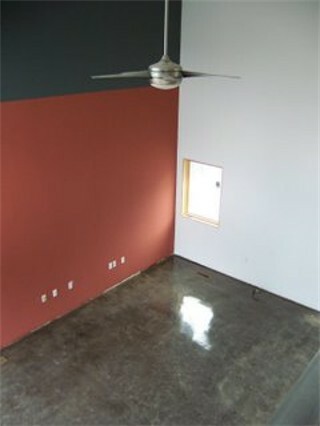 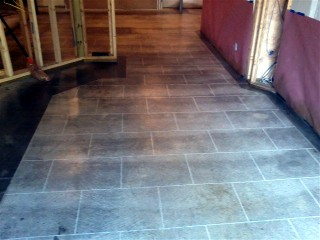 Following are a few pictures of concrete staining indoors. 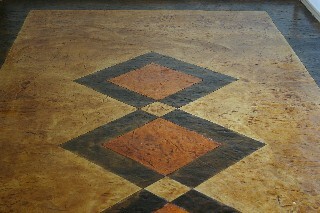 The dynamic variances in the colors are great. 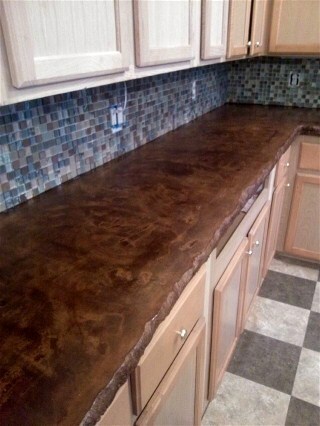 Also a great job covering w/ tape & plastic!